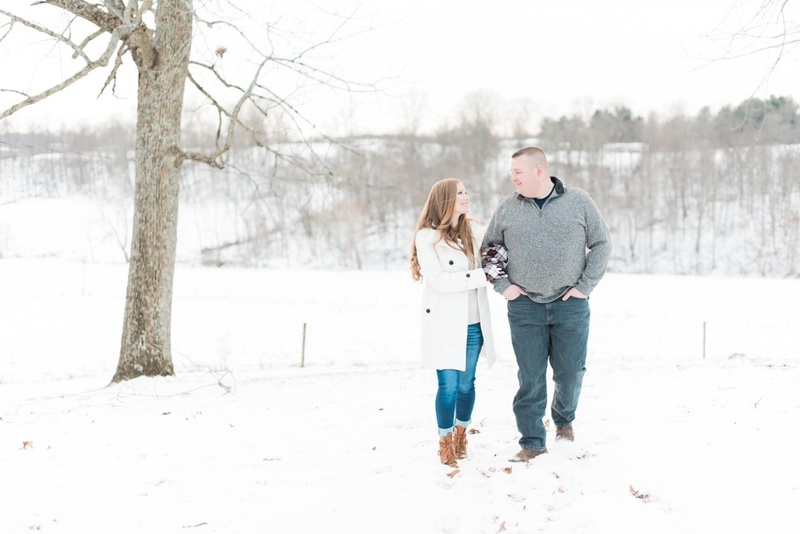 Susy and Shane's engagement session in their local town of New Concord, Ohio was sweet, romantic, and creative, and it reminded me again of how grateful I am to work with such wonderful couples as these two! Susy and Shane have such kind hearts, and it is no surprise to me that each of their occupations involve helping people. 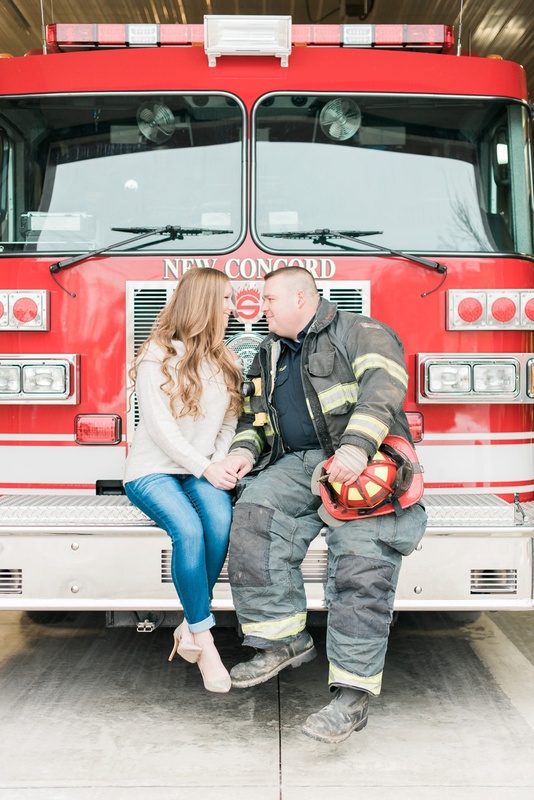 Susy is a medical assistant, and Shane works as a firefighter and paramedic -- and it's actually how they reconnected and started dating several years after first meeting! 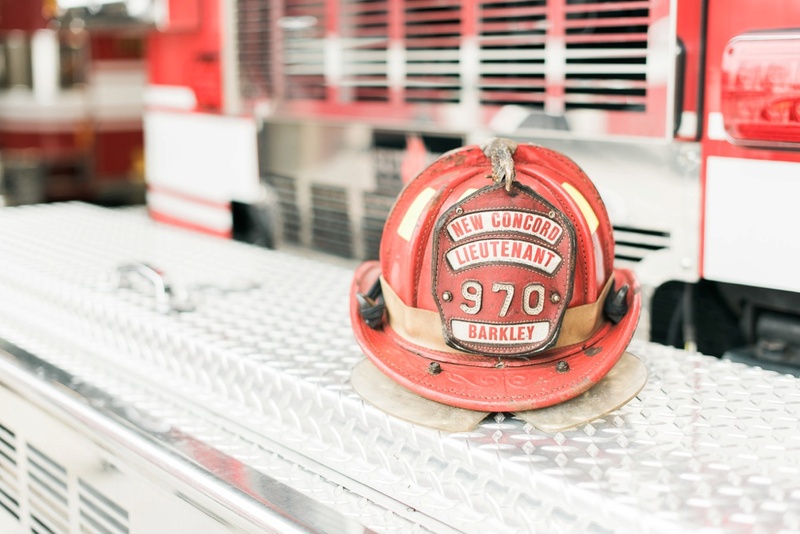 I was so excited when they told me their idea for shooting some of their engagement photos at the fire station where Shane works. 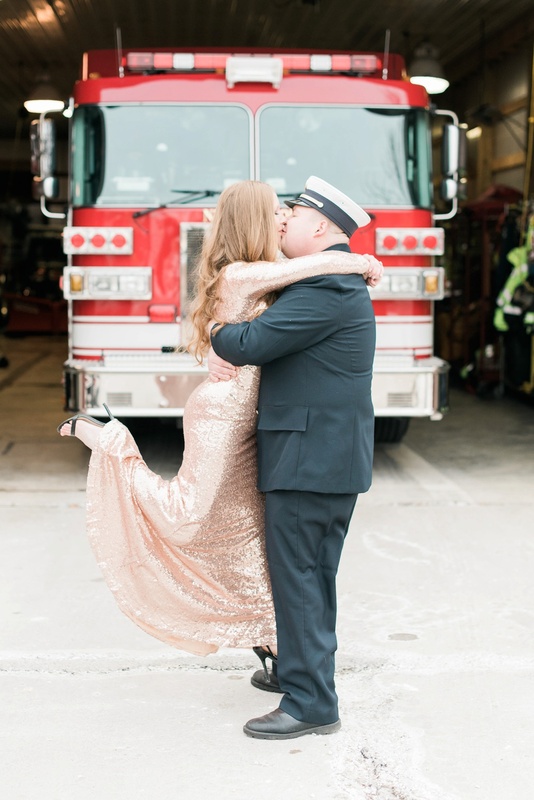 When they stepped out with Susy in a gorgeous sequined gown and Shane in his class A uniform, my jaw dropped! These two were absolutely amazing, and brought so much sun and warmth to this cold, snowy day. 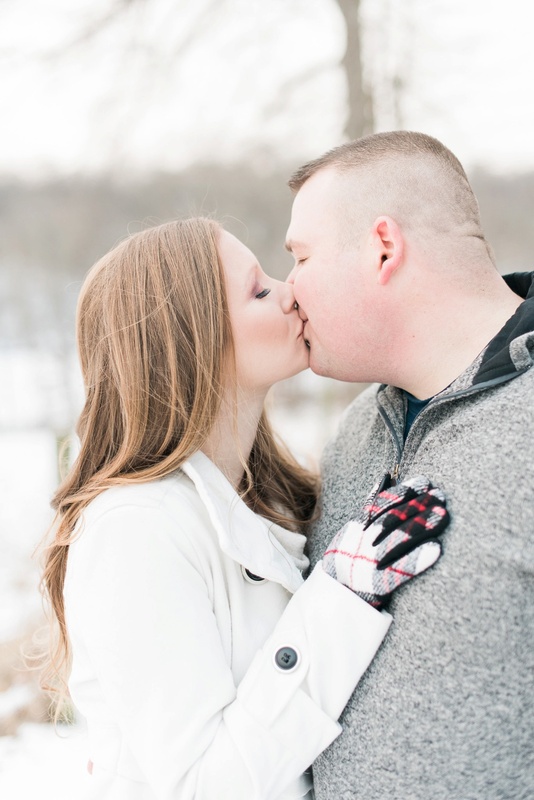 I can hardly wait for their wedding day this summer!